Željka Fuchs is the director of the Climate and Water Consortium; a researcher, professor, project manager, a pioneer in creative science outreach, and a recipient of the Presidential Award for Science Promotion in her native Croatia. Her research focus is on moist convection and its interaction with large scale disturbances. She works on new theoretical approaches to understanding the fundamental physics of atmospheric wave phenomena and their interaction with convection. Her research topics include, but aren’t limited to: convectively coupled equatorial waves, particularly Kelvin waves; the “holy grail” of tropical meteorology – the Madden-Julian oscillation, and tropical storms and hurricanes. David J. Raymond is a theoretician, a modeler, a data analyst, a teacher, a mentor and the recipient of the 2016 Jule G. Charney Award that is granted to individuals in recognition of highly significant research or development achievement. Some of Dave’s work includes theoretical formulations of the Madden-Julian oscillation; a stochastic mixing model for cumulus clouds; pioneering weak-temperature gradient (WTG) simulations; case-studies of easterly waves; thermodynamic control of tropical rainfall; theory on the spin-up of tropical cyclones; rational approaches to cumulus parameterizations; regulation of moist convection, wave-CISK theory, boundary layer quasi-equilibrium theory and so much more. Several of his papers have been cited over 150 times and his most recent ones were selected as a Research Spotlight in AGU’s EOS newsletter and JAMES. Stipo received his PhD in Physics at New Mexico Tech in 2017. He got his Master and Bachelors Degrees at the University of Zagreb, in Croatia. He is passionate about research and outreach, and has received the New Mexico Tech Founders’ Award; the highest honor Tech awards to a graduate student for their research and service to both Tech and the community. José obtained an undergraduate degree in Meteorology at the University of Costa Rica in 2012. In 2013 he was admitted to graduate school at New Mexico Tech where he obtained a Masters degree in Lightning Physics. Currently, he is working towards a PhD in Atmospheric Physics, under the advisory of Dr. David Raymond. Sooraj is a Junior in the Physics program at the New Mexico Institute of Mining and Technology. Recently he watched the new Al Gore film about climate change – ‘An Inconvenient Sequel’. He decided right there and then to pursue the Atmospheric Physics option as a part of my degree. He is new to the field and new to the Consortium. He look forward to making a difference where he can in both the Consortium and the community at large. Working with Dr. Fuchs for the short time he has known her has helped him see the importance of paying attention to storms like the hurricanes Harvey and Irma. He feels that the work the Consortium does will improve the ability to save lives. Born and raised in New Mexico, Aaron Lovato attended UNM to study the field of Astrophysics. It is here that he landed a position at the New Mexico Natural History Museum as a planetarium operator and so began his journey to become an astrophysicist. Later that following year, he transferred to New Mexico Tech to further his education. During his time at Tech, he has become president of the physics club and began to do research on asteroids as a Junior level physicist. He now studies climate change with Dr. Fuchs and her team because it presented an opportunity to grow as a scientist and branch out into different areas of physics. Robin is currently studying Information Technology and Biology at New Mexico Tech. She has self-taught and/or took classes in C, HTML, CSS, Python, Pearl and Java. Robin has been working with the IT department at NMT helping to set-up networking. She is also currently working on keeping the CWC website up to date with the ongoing research and activities, doing the job with lots of enthusiasm and creativity! Robin’s ambition is to work for the National Institues of Health after graduation. Most of Taylor’s research has been focused on the role that technological change plays in human social relationships and the organization of community. A healthy skepticism of networked individualism, technological liberalism, and the rhetoric of choice as well as an interest in concepts like engagement and the good life drives my thinking. His articles have appeared in journals such as AI & Society, Technology in Society, Philosophy & Technology, and the Journal of Urbanism. His recent book project, Technically Together , is concerned with the question of how societies could more reliably realize artifacts, infrastructures, organizations, and built environments that are communally ergonomic – that is, technologies that encourage local community engagement as an integral part of everyday life. He is also interested in investigating the barriers to the more democratic governance of technology. Prior to his appointment as an assistant professor of social science at the New Mexico Institute of Mining and Technology, he earned a PhD in Science and Technology Studies from RPI – which came after a bachelors and masters in mathematics from New Mexico Tech. His life before academia included stints crunching large data-sets for a multinational chemical company and teaching mathematics courses on a reservation in North-Central Montana. He also plays rugby (when not rehabbing an injury). Benjamin graduated from Northern Arizona University with a Ph.D. in Biology. His research interest is in climate change and understanding why most of the carbon gas on Earth is found in the soil. He is hoping to understand how plant roots and microbes in the soil help store that carbon below ground. Along with graduate students, he is studying what triggers native New Mexican piñon and juniper trees to make seeds in New Mexico’s dry ecosystems, a process that requires plants to put some of their carbon into roots. He is also working on a Department of Energy funded project that will measure how much carbon gets into the soil from crop roots, and if the amount of carbon that stays below ground depends on a farmer’s decisions about how and when to use fertilizer and irrigation. Nancy is a Socorro High School science teacher, chemistry teacher, and the coordinator between the Consortium and schools. Jesus studies the movement of water, solutes, and energy through landscapes and river systems. Most of his current research focuses on the interactions between surface water and groundwater at multiple temporal and spatial scales, ranging from small river bed forms and reaches to continents. This work combines numerical modeling, data mining and assimilation, and a whole lot of field and laboratory experiments. He teaches courses on fluid dynamics for earth scientist (Flow and Transport in Hydrologic Systems) and the use of models to adequately represent and understand natural systems (Data-driven modeling in science and engineering). He has many interests; groundwater-surface water interactions, and hydrogeology to name a few. David S Gutzler is a professor at the University of New Mexico. His research interests are: climatology; meteorology; interactions between Earth’s atmosphere and its hydrosphere, biosphere, cryosphere and lithosphere; predictability of weather and climate. Frank obtained his Ph.D. in environmental engineering from Vanderbilt University in 1993. He served as the Technical Assistant to the Director of the Gulf Coast Hazardous Substance Research Center in Beaumont, TX and the Technical Editor of the Journal of Waste Management for a year. In 1994, he joined New Mexico Tech (NMT) as an assistant professor. He is currently an associate professor in the Department of Civil & Environmental Engineering and an adjunct professor in the Department of Petroleum & Chemical Engineering. His research focuses on water treatment, wastewater reuse, and soil and groundwater remediation. During his tenure at NMT, he established the graduate program in environmental engineering and was awarded grants and contracts of over $4,000,000. In 2001 during his sabbatical leave, Dr. Huang worked at General Mills and Alkermes, and received his M.S. in Chemical Engineering from Massachusetts Institute of Technology (MIT). From 2007 to 2008, he served as the Chief Engineer and Project Manager of ARS USA and was in charge of the design and construction of two 1-MGD water treatment plants for arsenic removal. Since 2009, Dr. Huang also serves as the lead consultant for NASUS Water Technology LLC and Electro Purification LLC to develop innovative water treatment processes for commercialization. 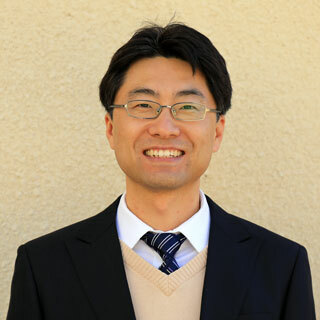 Dr. Huang is a registered Professional Engineer in the State of New Mexico and a member of the New Mexico Wastewater Technical Advisory Committee appointed by the NM Secretary of Environment. He also has served as a Session Chair of the 207th ACS National Meeting and a proposal/manuscript reviewer for STCU (Science and Technology Center in Ukraine), USDA, USEPA, DoD/AATDF, WRRI, ES&T, Biotechnology and Bioengineering, and Journal of Environmental Engineering. Youngbok joined the management faculty at New Mexico Tech in 2017, teaching economics, management, and policy courses. He is also taking an active role in promoting entrepreneurship on campus by championing the state-wide Studio G program and advising the student entrepreneurship club. Before coming to NMT, he was an assistant policy researcher at RAND Corporation where he was involved in the NSF-funded project on informing climate-related decisions with earth systems models (EaSM) and coauthored a paper on how climate change and urbanization affect the salamander species in the Appalachian region by applying the Robust Decision Making (RDM) method to deal with the uncertainties underlying climate change. He was also a Christine Mirzayan Science and Technology Policy Fellow at the National Academies of Sciences, Engineering, and Medicine, where he contributed to the project on the American future of manufacturing, technology, and work. After receiving a B.S. in civil and environmental engineering from Korea University, he served as a military officer in the Corps of Engineering. He also worked with a technology park, think tank, and research institution for five years. Since coming to the United States, he obtained Masters’ and doctoral degrees in science, technology, and environmental policy and management from the University of Minnesota, Georgia Tech, and Pardee RAND Graduate School. William graduated from the University of Utah with his Ph.D. His research interests include differential equations, mathematical biology, industrial mathematics and environmental mathematics. He is currently Dean of Arts and Sciences. His hobbies are: singing, acting, cooking gourment meals such as octopus, wine tasting (he also teaches a class on wine). Stacy manages the Aquifer Mapping Program, a productive team of 7 staff and 2-3 students. Working with the Aquifer Mapping Program, she has been involved with several large- scale, long-term hydrogeologic studies focused on geologic influences on recharge, and groundwater movement and occurrence. Stacy has worked on project tasks including proposal funding, field data collection, data interpretation, data management, and reporting. She’s worked in diverse locations over New Mexico, including San Agustin Plains, Magdalena, Tularosa Basin, Truth or Consequences hot springs district, La Cienega wetlands, and southern Sacramento Mountains. Stacy has worked in hydrogeology for the Bureau of Geology since 2004. Haoying works with students on agricultural commodity markets and regional development issues that are particularly important to New Mexico and the Southwest region. Haoying loves programming, his favorite programming languages include at least C, R, STATA, and Matlab. Haoying is also a part-time book dealer. He owns a successful online bookstore with over one thousand listings, which happens also to be one of his ground for internet economics research and experiment. He considers himself a semi-scientist and a semi-businessman. He likes car mechanics, hiking, and mountain biking.